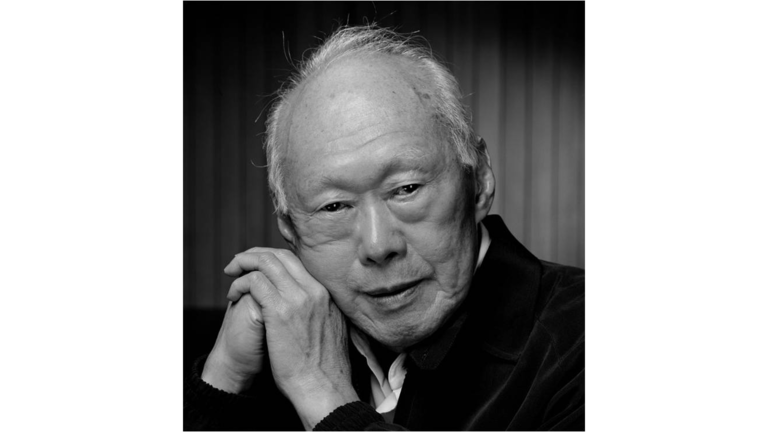 The political legend who built modern Singapore on how nations can overcome corruption to give its citizens a better life and equal opportunities. When I was in my teens I heard about a political study. It found that while Singapore paid its civil servants one of the highest salaries in the world, they also had the least amount of money in their bank accounts among politicians in the region. That was because corruption was almost non-existent in this island nation of mine when I was growing up. Truth be told, I’m a fiercely independent thinker. On more than one occasion I’ve found myself disagreeing intellectually with some of my government’s policies. But I can’t deny that without Lee and his founding team of statesmen who believed in meritocracy, this resource scarce island would never have gone from third world to first in 30 years. My brothers and I may not even have been able to afford our education! That point was hammered home even stronger when I was in Nepal last year for a hiking trip. Visiting this mountain nation for the very first time, I saw and heard about how corruption had depleted a beautiful land and exhausted its hardy people. I wrote about this in the very first story I published on Medium, titled “Of Mountains & Monarchs — A Tale of the Real Nepal”. In it I spoke about how my guides, who were the children of Gurkha soldiers who lived in Singapore, all had a picture of Lee in their homes. It was put there by their fathers, some of whom guarded the compounds of Lee’s home when he was the Prime Minister of Singapore. They revered him as a great leader and lamented the lack of someone like Lee to lead Nepal out of the downwards spiral it was in, due to endemic corruption and nepotism. A lot of books have been written about Lee and his words extensively quoted, but this fateful journey in Nepal inspired me to look for more direct sources about him and his views on governance. It led me to a collection of all his speeches, interviews and articles spanning 60 years of his life and 19 thick volumes. In them I uncovered his thoughts and wisdom on topics ranging from education and entrepreneurship to careers and family life, much of which have never been published in other books. After poring through all 19 volumes, I’ve distilled the following advice from him on political leadership and beating corruption. It was clear to Lee that for a nation to beat corruption and build a just society, the cleansing has to start at the very top. Furthermore, this group of core leaders right at the top must be determined and united, in addition to possessing a strong sense of social duty. Once that leadership is in place, the country also needs an effective civil service to execute the government’s policies without being swayed by corruption. For this to happen, Lee Kuan Yew had often argued in parliament that the best way to attract top talents and avoid corruption was to pay civil servants top dollars — comparable to the earnings of the best doctors, engineers and lawyers etc. Nonetheless, since man are prone to temptations no matter what, as a safeguard he advocated a policing system — driven, as he puts it, by jealousy and rivalry from those who sought to be corrupt. But for this bureau to do its work effectively, first and foremost they must trust that the people they answer to are incorruptible. So the above sums up quite simply, how Singapore became an economic miracle with very little corruption, despite having no natural resources on a tiny island other than people. A bunch of good men, led by a great leader, who had exceptional morality and integrity.